Meet a visually powerful RPG like you’ve never experienced before! 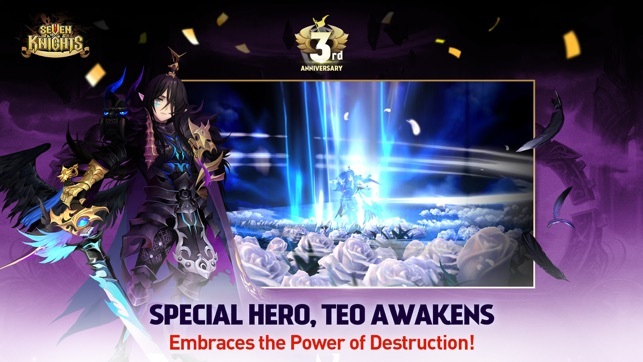 We invite you to the world of Seven Knights Global. ▶ PvP matches that keep you on your toes! 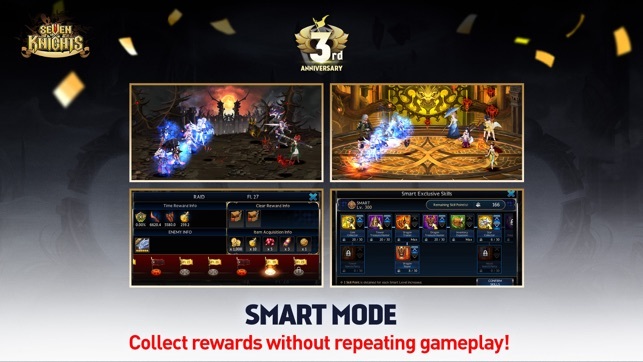 Fierce battles with lively tactics that you can play with players from all over the world! Your unique tactics and heroes will lead to victory. Make your guild rich and famous with your guild members! 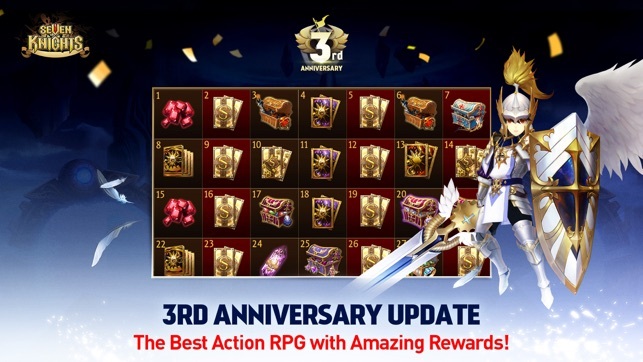 Join the fierce Guild vs. Guild battles, Castle Rush battles, and Guild Raids! Fantastic graphics that go above and beyond the limits of mobile games! Splendid and mind blowing skill effects for 100+ heroes. 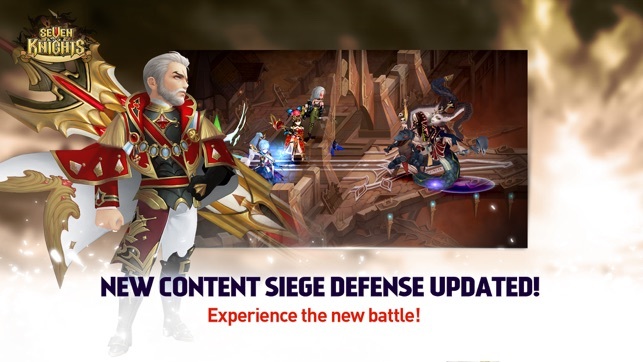 ▶ Experience special content that is unique to Seven Knights Global. [Strategical Play] You can synthesize your own deck with various heroes, Pets, and Items! 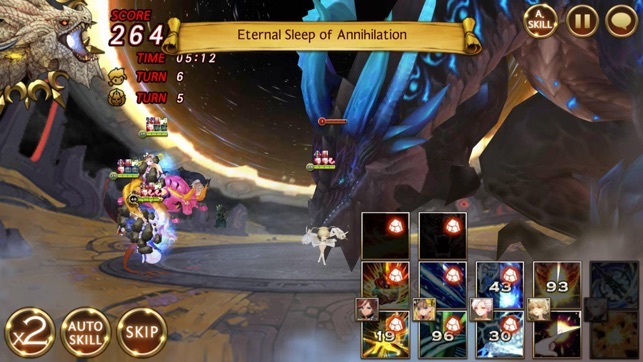 [World Boss] Check out the World Boss Raid where you compete with players from around the world. 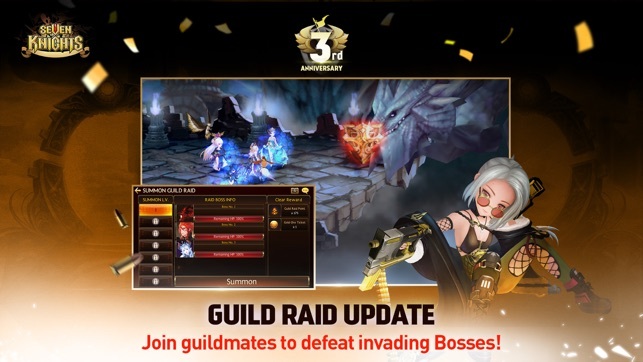 [Guild Content] Building your Guild Castle, and playing Castle Rush, Guild War, and Guild Raid! 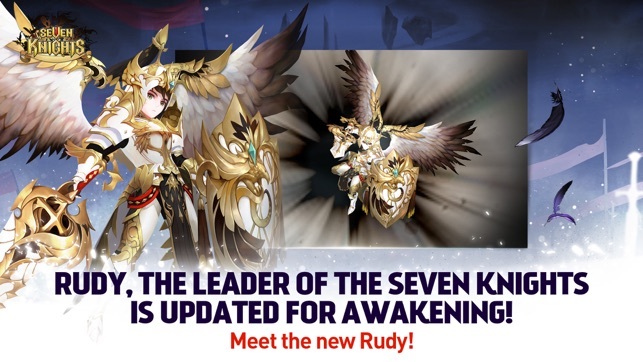 [Story] A Massive story unfolds in the world of Seven Knights! [Specialized UI] You can play endless strategies without difficulty using easy controls! 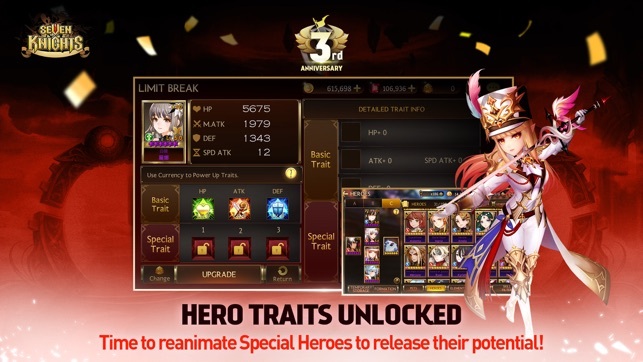 [Mythical Awakening] Discover the Mythical Awakening that can change the result of your battles! [Siege Defense] A fun way to defend your castle! Stunning action-packed RPG Seven Knights! Check out the latest updates now! This game has potential to be a good game but the developers care way too much about profits. Expect to play for a year before you get a half decent team, unless you feel like spending uncomfortable sums of money. This game was designed to be entirely financially focused, every aspect of the game consists of ALOT of waiting and grinding unless you wanna spend 100’s of dollars. Unlike most games that are pay to play, seven knights will charge you upwards of 20$ for the equivalent of advancing your team .2%. The “arena” is completely rigged and so are many of the dungeons where the computer will make you lose in battles that there should be no way you can lose just to keep you from advancing too fast. Almost all new characters are immediately over powered to a level where they render your developed characters entirely useless, and youd better be prepared to either spend a lot of money every update or grind for the rest of your young life to build a new team. Oh and just incase you commit your time/money to the point where you finally do have a good team, prepare for extremely unsatisfying victories, boring gameplay, and pathetic losses bc the computer will match you with people more than 7 times your ranking in dimensional arena (the only place you can actually control your teams abilities in pvp). If your rich, and love wasting time on repetitive boring gameplay, this is your game! At first I thought this was going to be just another pay to win piece of garbage you can find all over the App Store. But now I’ve been playing it for months and I love every single aspect of this game. The characters are well designed and fleshed out, the story is immaculate and clean cut, the art is downright gorgeous and they give out in game currency like it’s nothing! 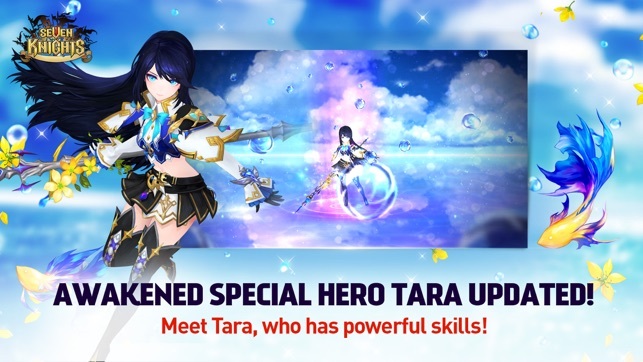 All characters can be obtained within the game so you don’t have to buy any exclusive ones, and the costumes designed for each character are all beautifully crafted and thoughtful. The campaign of the game is heartfelt and adorable tagged in with amazing action sequences and I found myself looking forward to playing it. It isn’t a horribly challenging game but it isn’t a walk in the park either, but has no random difficulty spikes like most games do. The PvP isn’t clunky or unfair, all the characters are well balanced, and things are easy to obtain without forking out money. I haven’t spent ANY money in this game and I’ve nearly completed the codex of the entire hero selects. A smashing game with a positive community and great art, this beautiful project gets the full 5* from me.